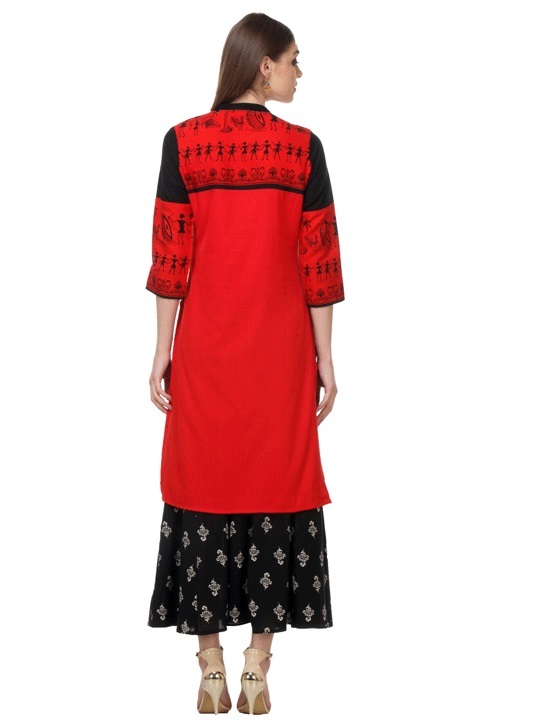 This pretty and trendy ladies long red colored Rayon slit 3/4 th sleeve kurta ( also known as Kurtis) adds a modern touch to your ethnic wear tops collection. Rayon material of this Kurti will feel soft across your skin. 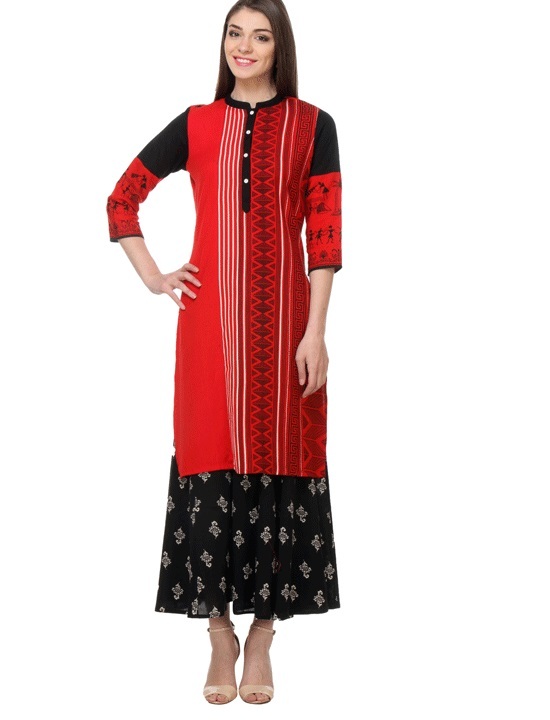 Look your stylish best in this slit collar neck kurta with latest printed design. Ideal as casual wear, college wear, office wear or as party wear Kurta . This Kurta comes in Medium , Large, XL, XXL size.